"This easy recipe blends together coconut and lime and adds just a touch of spice with jalapeno peppers. 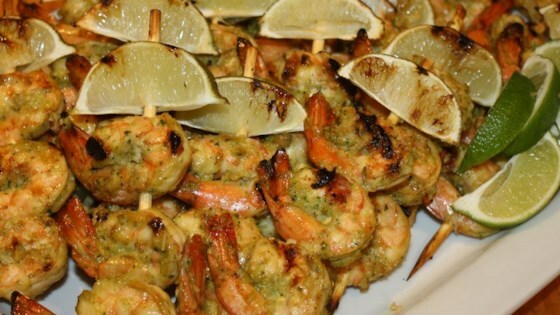 A perfect appetizer for summer cookouts." This is a fantastic (and fantastically easy) recipe. The only thing I changed was to set aside a few tablespoons of the marinade to brush on while grilling.